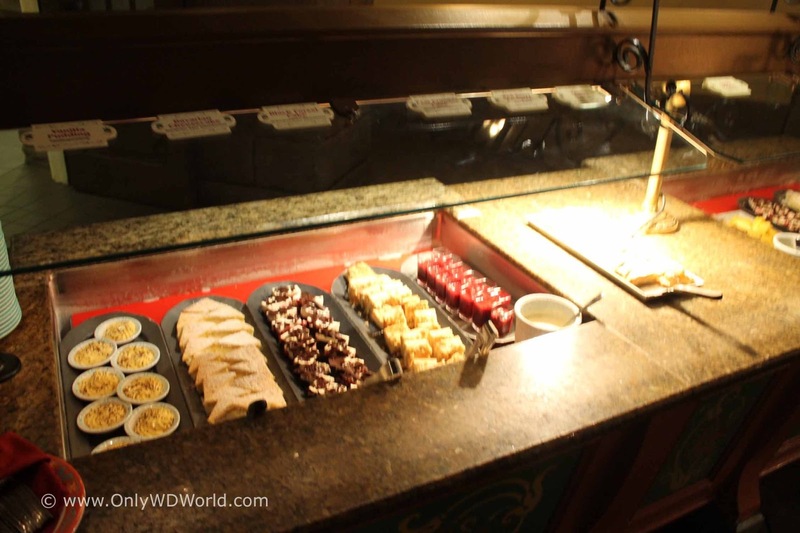 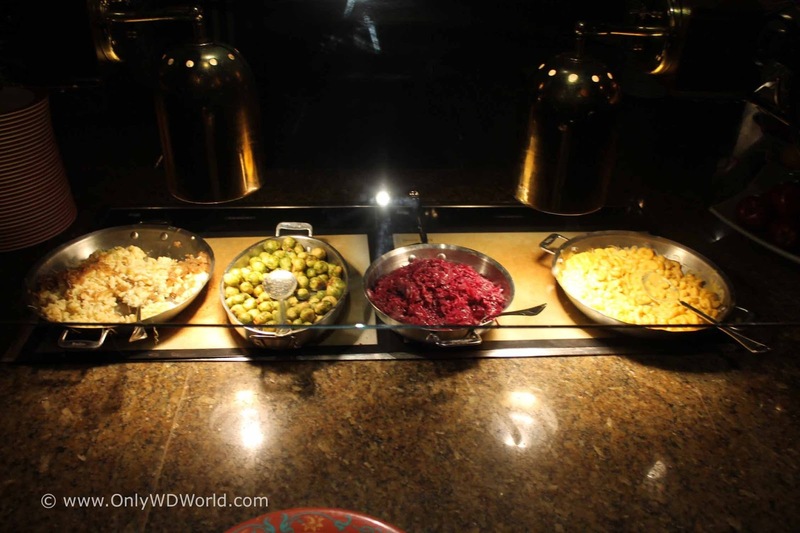 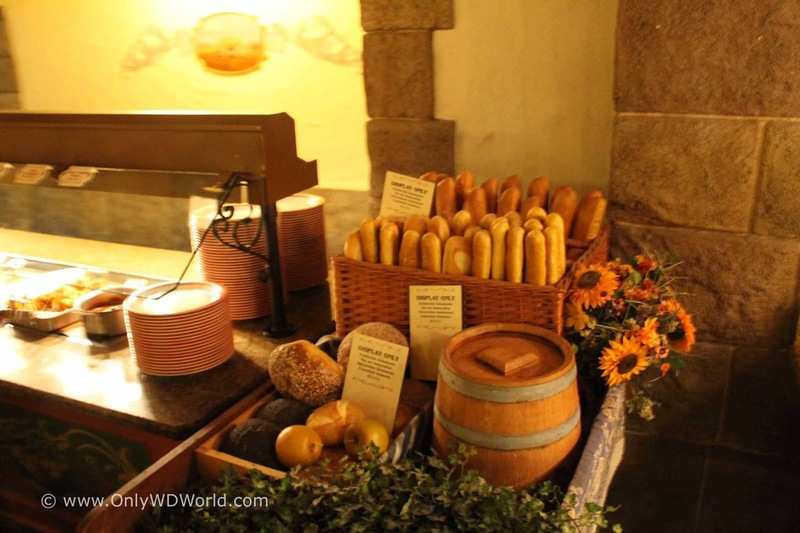 When it comes to dining at Disney World, the World Showcase at Epcot has a wonderful array of choices. The Biergarten Restaurant in the German Pavilion is one of the most family friendly and fun restaurants to experience. 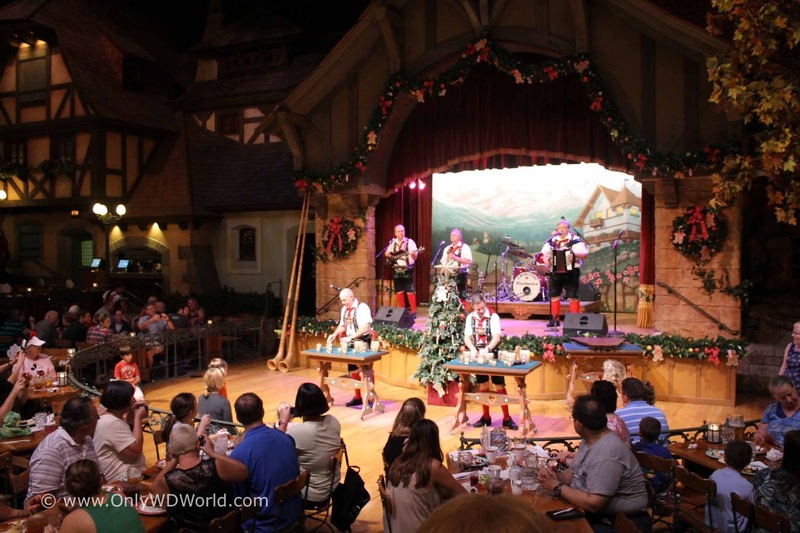 In a pavilion that does not feature a traditional attraction, the Biergarten Restaurant is the main attraction here with live entertainment to enjoy while you dine. The restaurant is designed to make you feel like you are outside enjoying the Oktoberfest. The tables are large, which makes it the best location to dine at with large parties. If you are a small party, you may be seated with another. 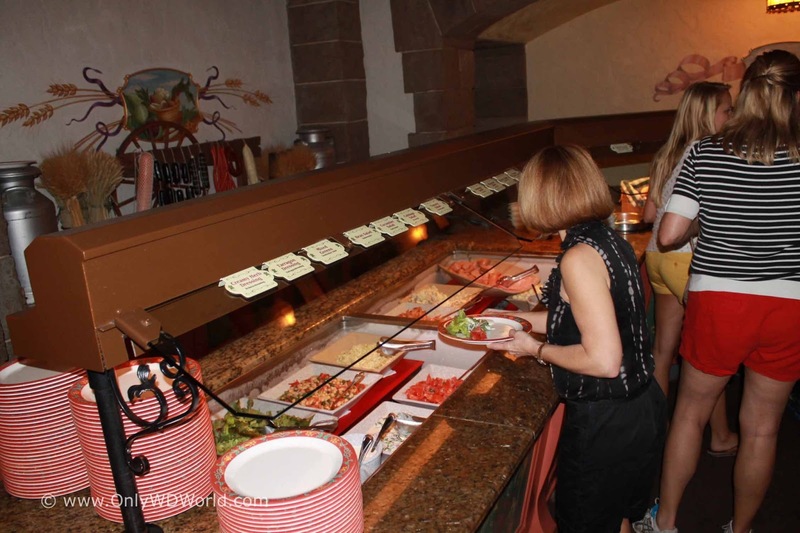 The atmosphere is fun and friendly, so do not worry about being seated with another family at your table. 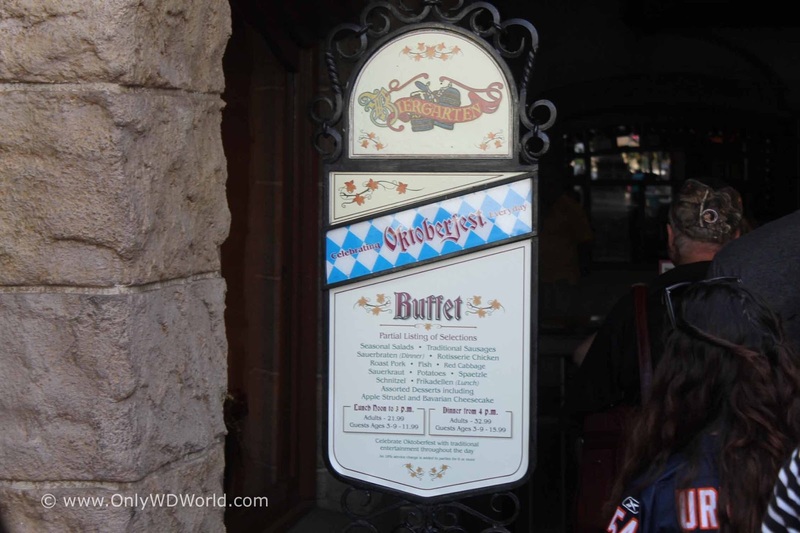 The Biergarten Restaurant serves both Lunch and Dinner with a very similar menu for both. If you are not using the Disney Dining Plan, you may want to consider visiting here during lunch hours, saving over $10 per adult. 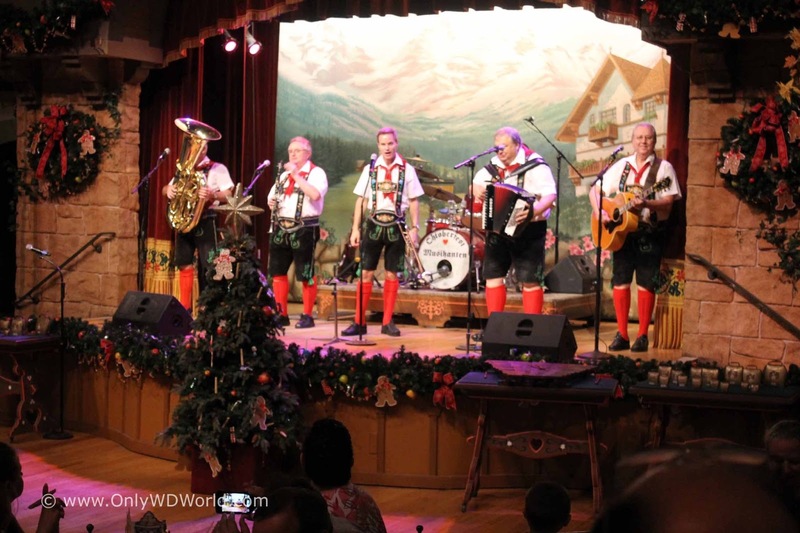 You will enjoy all your German favorites and see the same entertainment that you would see at dinner. 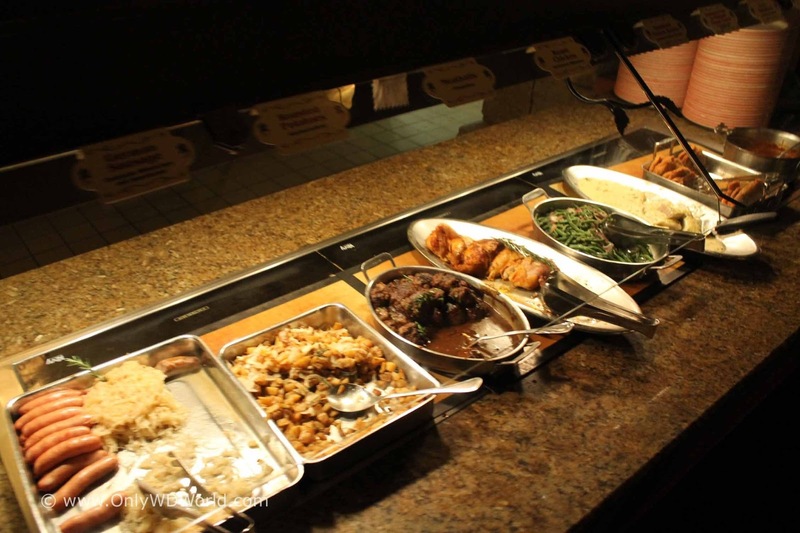 The meal is an all you care to eat buffet for both meals. 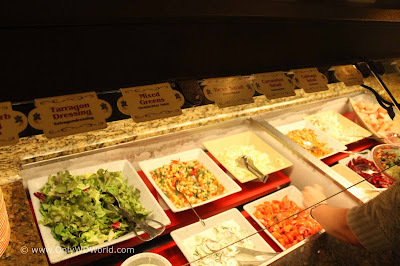 At the buffet, you will see a wide array of options including salads, meats, breads, sides, & desserts. 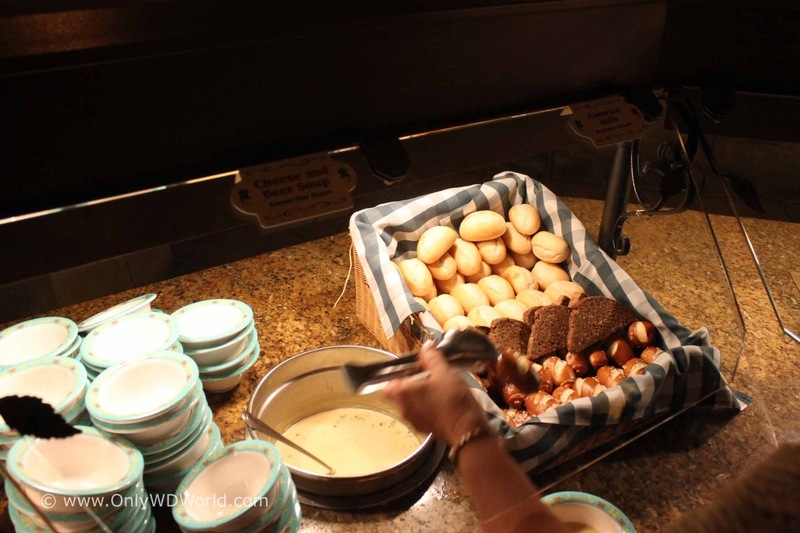 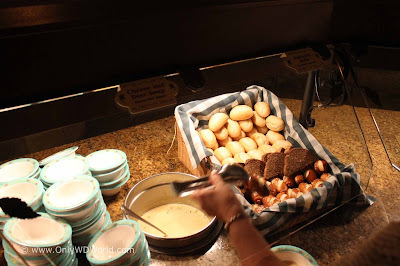 A special treat is the cheese soup, which compares very closely to the more famous one served at Le Cellier. 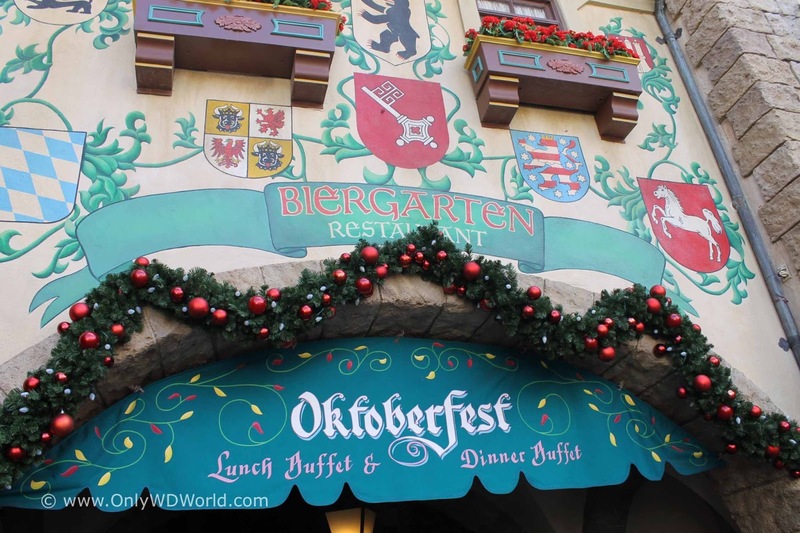 German cuisine favorites are: Schnitzel, Spaetzle. Red Cabbage, Sauerkraut, and German Sausages. 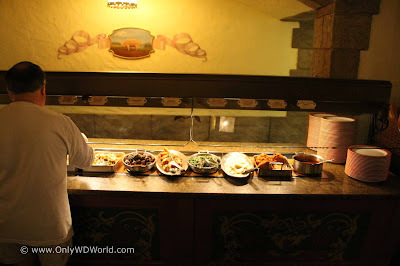 There is also a carving station served freshly carved meats. 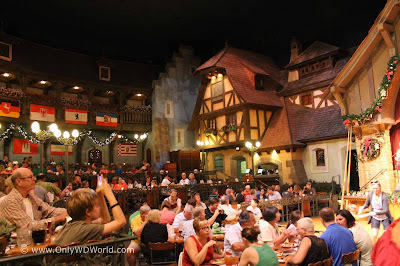 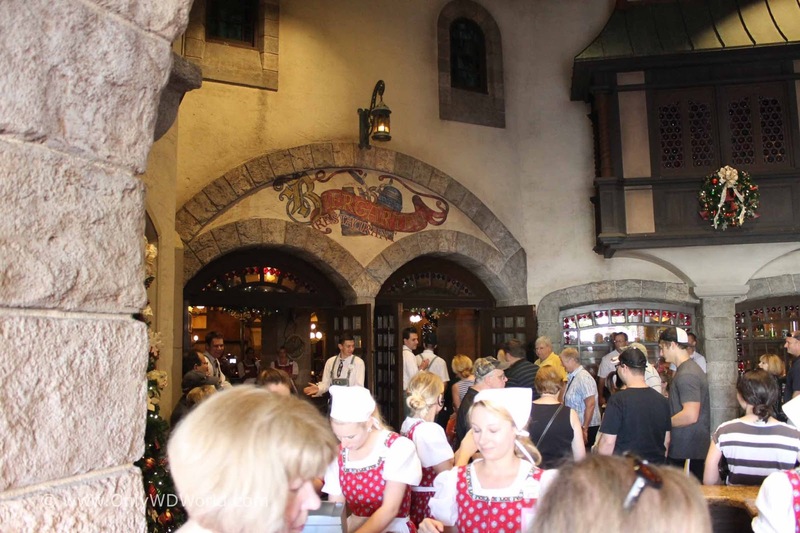 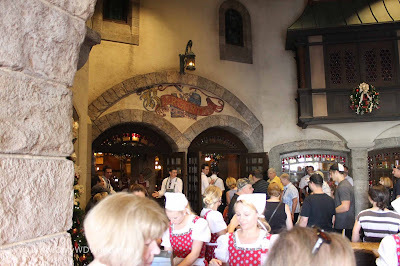 The Biergarten Restaurant in Epcot's German Pavilion is a great restaurant for the entire family. The atmosphere is fun for all ages with lively entertainment. 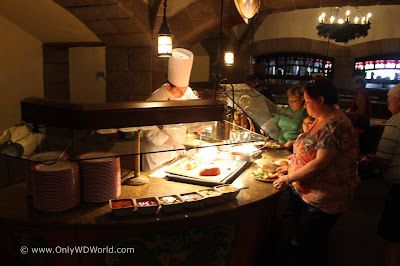 It is also one of the best restaurants in all of Disney World for large families. 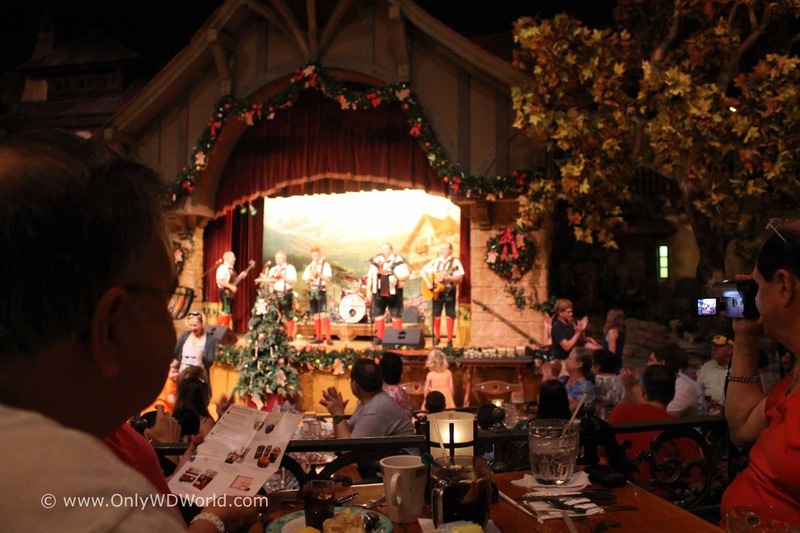 This is not the restaurant for a quite romantic date night, the restaurant is noisy and has the joyous feel of Oktoberfest. This restaurant is certainly recommended for you to try during your next Disney World Vacation. Although making reservations ahead of time is strongly recommended, this is one restaurant that can accommodate a large number of people and can usually fit you in. 0 comments to "Disney World Dining: Biergarten Restaurant"